Men take third place, 10 Scots named to All-Region squad, Foster wins coach of the year honors. Cross country celebrated its 50th season at Edinboro with a win and second-place finish in the men’s and women’s conference championship races, hosted by Edinboro University. Cross country season is well underway as sections of men’s and women’s teams from 13 Pennsylvania colleges raced Saturday morning at the Allegheny College Gator Classic in Meadville. 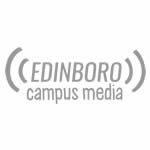 Edinboro’s cross country teams have reported to Coach Foster a few weeks before the semester begins for fall camp every year since 2016, and this year was no different. The future of Edinboro’s cross country program looked bright during the annual event honoring its historic past. After making waves at the PSAC championship race two weeks ago, the Edinboro cross country team came through once again. The new look Edinboro men’s and women’s cross country teams kept a long time tradition strong this past weekend with victories in both conference championship races. This past weekend, the Edinboro Fighting Scots took on monstrous competition at the GLVC Crossover Invitational. Of non division one teams, Edinboro placed first overall with 81 overall points. In current Edinboro head cross country coach Ryan Foster’s second year at the head of the team, the youth movement has taken full effect on the women’s side.